The modern preoccupation with what ultimately came to be called Unidentified Flying Objects (UFOs) actually began in June, 1947. Although some pro-UFO researchers argue that sightings of UFOs go back to Biblical times, most researchers will not dispute that anything in UFO history can compare with the phenomenon that began in 1947. What was later characterized as “the UFO Wave of 1947” began with 16 alleged sightings that occurred between May 17 and July 12, 1947, (although some researchers claim there were as many as 800 sightings during that period). There have been numerous UFO photographs from before 1947 (when the UFO phenomenon is often described as having begun) and some probably hoaxed and misunderstood images. Some believe that ancient stories of cosmic battles were integral to the birth of civilization. The celestial combat became earthbound as the God of the heavens were replaced with terrestrial kings. This lends credence to Ancient Astronauts. Bringing that forward into our present day modern history of UFOlogy, the defining year is 1947 when the UFO phenomenon is often described as having begun. That date is July 4, 1947, when the classic case of Roswell happened. This is not, however, the first United States government involvement at Roswell with the retrievals of extraterrestrial and their technology. Although Henirch Schiemann did not study formally study archaeology, he is attributed to having made one of the greatest discoveries in the history of archeology, the discovery of Troy and Mycenae. Schliemann became interested in digging at the mound of Hisarlik ? at the persuasion of Frank Culvert. The British diplomat, considered a pioneer for the contributions he made to the archaeology of Troy, spent more than 60 years in the Troad (modern day Biga peninsula, Turkey) conducting fieldwork. As a principal authority on field archaeology in the region, Calvert’s findings supplied evidence that Homeric Troy existed. Schiemann’s intense interest was based on a youthful obsession with the idea that Homer had given an account of true history in the great epic poems, the Iliad and the Odyssey. It was his intense desire to prove that Troy had in fact existed. He excavated in 1871-1873 and 1878-1879 in the hills near Hisarlik and discovered the ruins of ancient cities dating from the Bronze Age to the Roman period. He eventually declared one of these cities, known as Troy II to be the city of Troy. Two months into the working at the new site, William Dorpfeld discovered that he was excavating a large artifact at the Schielmann dig that would have significant monetary impact on the precious metals market. In correspondences to Rudolf Virchow and Roichard Shcone he stated that he had unearthed a large disk and wasn’t sure how much more was to be uncovered. He passed away in 1940. In that same year, Adolph Hitler, commissioned a five man team composed of Sievers, Hirt, Brandt, Porsche and Hagen, doctors and professors that would focus on information and technologies that would assist Germany in the war. That group investigated Dorpfeld’s work. During the next year, the group was able to open and retrieve some of the contents of the large disk discovered in Turkey, which included four statis pods with occupants. The next year, 1941, the American government was informed by Antoni Zygumd that Germany was working on back engineering several advanced biological and laser advanced weapons systems based on extraterrestrial technology. This research facility was located in Soest, West Germany. In further information provided by Antoni Zygund, they should capture a SA officer, Frantz Braun. He would be able to provide more detailed information about the research facility. In response to this, the American government formed a special retrieval task force. Named “Cosmic Clearance”, the task force began work to investigate the claims made by Zygmund. Project Cosmic Clearance was successful in retrieving all of the extraterrestrial technology included the four stasis pods. Working in conjunction with the Turkish authorities, in 1947 they removed the large metal disk from the Schliemann excavation. In May, 1947, the disk and materials were sent by ship to America. In July 1947, a transport vehicle carrying the large metal disk from Roswell Army Air Field, exploded outside of Roswell, New Mexico. The published “Results of a Search for Records Concerning the 1947 Crash Near Roswell, New Mexico (Letter Report, 07/28/95, GAO/NSIAD-95-187) stated the following: “The Air Force Safety Agency is responsible for maintaining reports of air accidents.” The microfilm records were examined to determine whether any air accidents had been reported in New Mexico during July 1947. The Report identified four air accidents during that time period, and all of the accidents involved military fighter or cargo aircraft and occurred after July 8, 1947 – the date the RAAF public information office first reported the crash and recovery of a “flying disc” near Roswell. 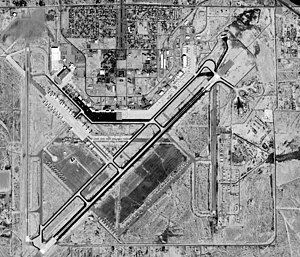 According to the Army Air Forces’ Report of Major Accident, these four accidents occurred at or near the towns of Hobbs, Albuquerque, Carrizozo, and Alamogordo, New Mexico. The records examined did not include information regarding mishaps of air vehicles belonging to civilian or other government agencies. Potentially, any of these air accidents, could have been the explosion of the transport vehicle carrying the large metal disc from Roswell Army Air Field or it could have been land based. An overview of the literature and records has not clearly delineated the exact answer, and my research continues, but that is the case with many incidents and reports in the field of ufology. Often the answer to one question leads to many more to be researched and investigated. As the search for the truth regarding Roswell along with the Crash before Roswell, Project Cosmic Clearance, continues we gain the most powerful weapon of all, expansion of the knowledge base in the field of UFOlogy.